We only have 5 days left unti lChristmas! Are you ready? 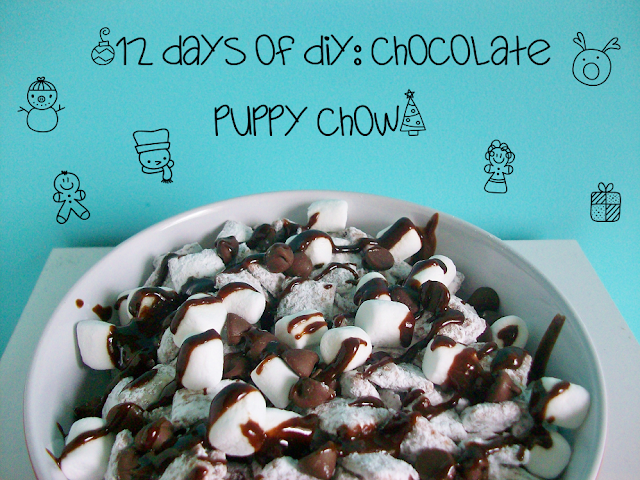 Well if your aren't yet don't worry I still have 2 more DIY posts left until Christmas (one will be up tomorrow and Monday). 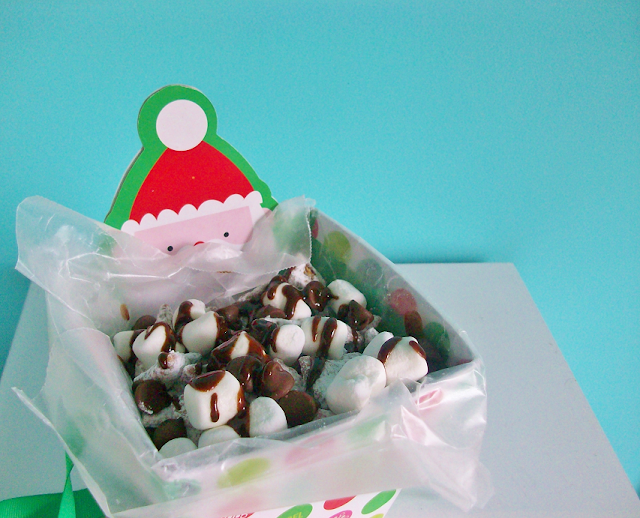 Today's DIY post is for the chocolate lovers! In this post I show you guys how to make chocolate puppy chow that is incredibly delicious and chocolaty! Enjoy! In a saucepan melt the butter, peanut butter, and mini chocolate chips until mixed. 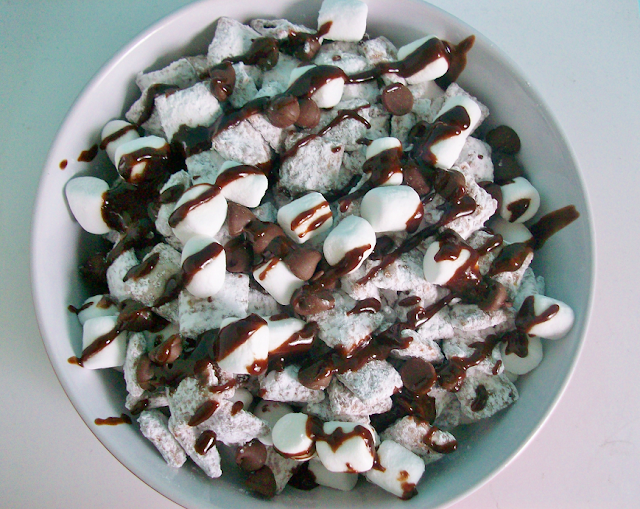 Then in a big bowl pour 2 cups of Chex rice cereal and pour the chocolate sauce over the cereal. 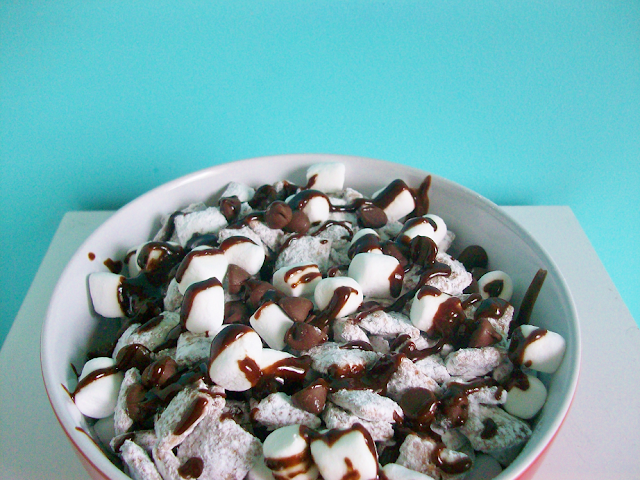 Incorporate the chocolate with the cereal with a wooden spoon until the Chex cereal is coated with the chocolate. 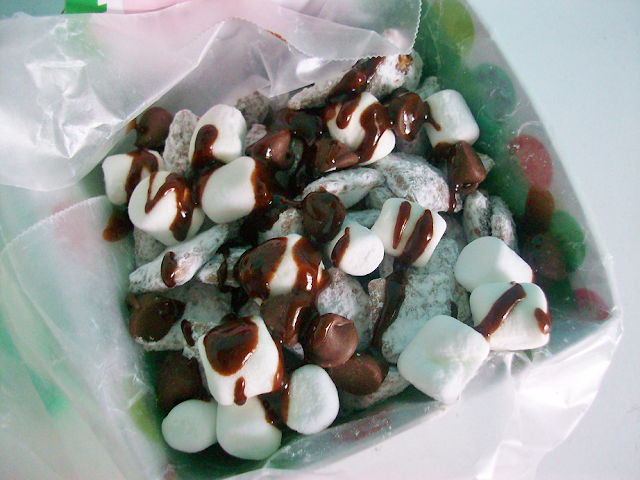 In a huge ziplock bag add the cereal and the powdered sugar and make sure the ziplock is shut tight and shake the bag until the cereal is covered with powdered sugar. 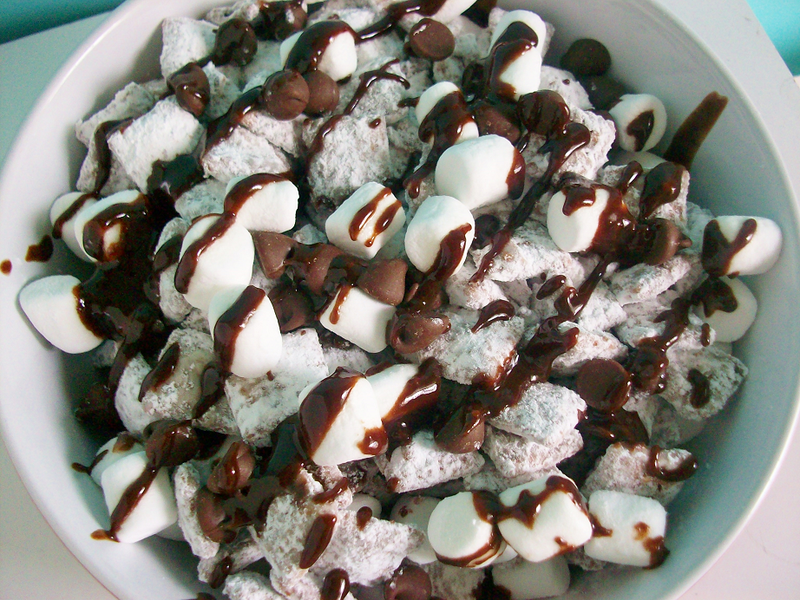 Once done place the puppy chow in a bowl and sprinkle some mini chocolate chips and marshmallows (if you have some pretzel m&m's I think that would the cherry on top). I also drizzled some leftover chocolate sauce over the puppy chow to make it look cute. This serves 2-3 people. I poured some puppy chow in a cute Christmas box I got at Target and lined it with some wax paper. 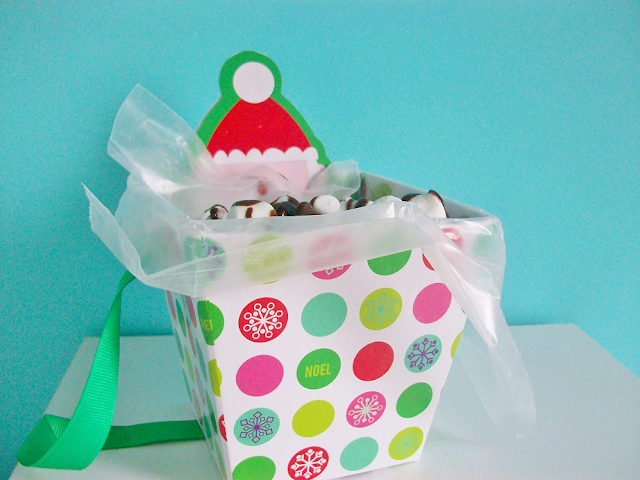 This is a really cute gift idea to give out!